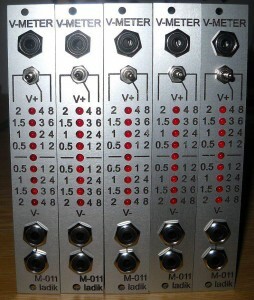 M-011 bipolar V-meter module for eurorack / Doepfer A100 system. 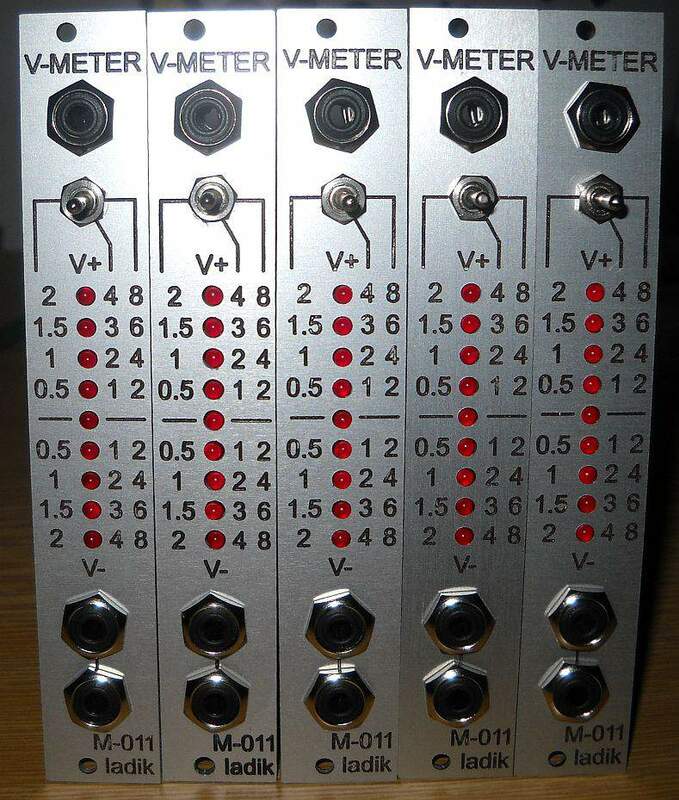 3 switchable ranges (panel switch): -2 to +2V, -4 to +4V, -8 to +8V, zero in the middle. 4 steps for positive and 4 steps for negative voltage in selected range. Very handy for checking CV or audio levels between modules. For example – slow LFO will light up alternating bar up and down (depends of waveshape), symmetric VCO output will light symmetric bars (alternating so fast for eye) which appears like continuous light in positive and negative range. Not suitable for exact measuring of CV (tuning check or so). Step spacing is too big for this. All three panel jacks are parallel (can be used as one-to-two multiple).